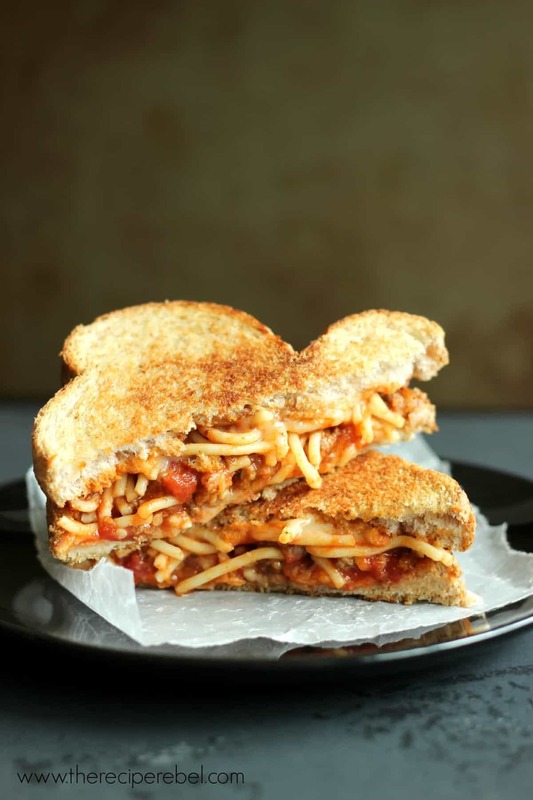 I just don’t know what to say about this, other than to beg you to make extra spaghetti and meat sauce next time just so you can make these sandwiches with the leftovers. I’ve included my spaghetti recipe first, to make earlier in the week, with lots of leftovers for these sandwiches later on. 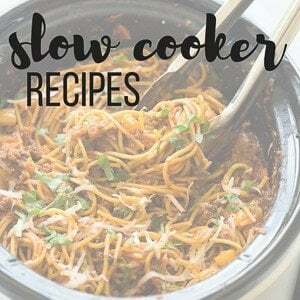 Feel free to use any spaghetti and meat sauce recipe you like! I’m kind of a terrible sleeper. Pregnancy has not helped at all. Planning a vacation has not helped either. I find it’s at night that I think of all the important stuff. And then last night, a telemarketer/phone scammer called at 10:30PM. That’s a big deal for me. My family probably wouldn’t dare call after 9:30pm. I am the opposite of a night owl. It didn’t make me very receptive of what she was trying to say, and the scam she was trying to get me to buy into, since she only got about 8 words into her spiel before I gave her my own. Also at night, I’m often dreaming up random concoctions of food to experiment with for the blog. Which is actually important. It was when I was lying awake in bed that I thought up this idea, and I was so excited I ran downstairs to make a note for myself. I really need to keep a pen and paper beside my bed. I thought to myself, “people eat garlic toast, and cheese, and spaghetti all together, so why wouldn’t it make sense to make it a grilled cheese? 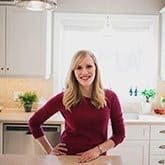 !” I also thought of all of the ways I had seen spaghetti used on Pinterest: spaghetti calzones, spaghetti and meatball pot pies, spaghetti tacos, spaghetti pie, spasagna — but never spaghetti grilled cheese. It seemed like a genius plan that I couldn’t ignore. This sandwich is kind of unreal. It’s everything you love about spaghetti and garlic toast but you get that crunchy, garlicky factor with every bite. Toasting both sides of the bread helps it stay crispy after you put the sauce on, while the spaghetti still stays nice and moist. And cheese. As much as your heart desires! When I told my husband (obviously in the middle of the night the minute I thought of it), he thought it was a good enough idea. And I’d like to think the reason he doubted my culinary genius is because he was exhausted and not because he actually questions my food combinations. But you better believe me, he was certainly not questioning my skills in the kitchen after supper tonight. 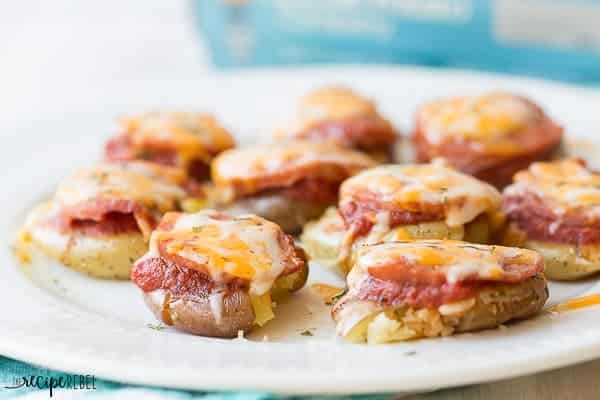 You might also like these Easy Pizza Smashed Potatoes (+ a video!)! Two meals in one! 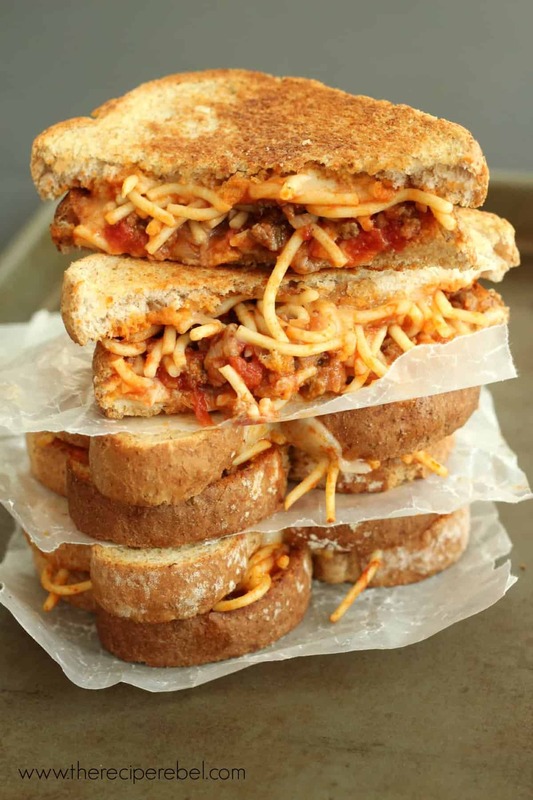 Make your spgahetti earlier in the week and enjoy these sandwiches as a quick dinner later on. 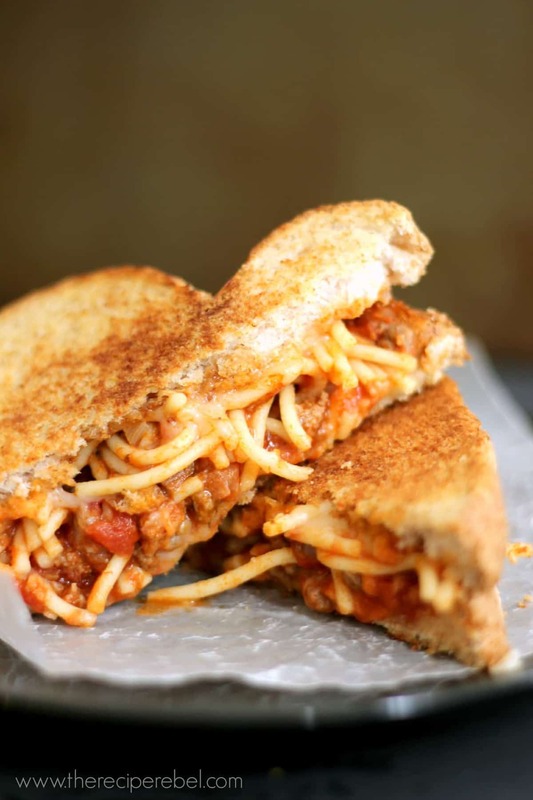 3 favourites come together in this sandwich: garlic toast, spaghetti, and grilled cheese. It's an unforgettable combination! For the spaghetti and meat sauceIn a large pan, cook beef, onion, salt, pepper flakes, and basil until meat is browned. Add in pasta sauce and tomatoes. Simmer over medium heat for 20-30 minutes until some of the liquid has evaporated and sauce is slightly thicker, stirring occasionally. Cook spaghetti according to package directions. Stir and serve together. *Reserve about 1 cup spaghetti and meat sauce mixture for each grilled cheese you wish to make later in the week. Don't worry -- there's lots! For the Spaghetti and Garlic Toast Grilled CheeseCombine butter and garlic powder. Butter both sides of all 6 slices of bread (I did the second side while they were on the griddle, but it's up to you what you think is easiest). Place bread on a large flat griddle preheated to about 300 degrees F (A large frying pan works, too, it's just not as easy to maneuver your sandwiches and won't hold as much). Cook the first side of the bread until golden brown. Flip. Divide half of the cheese between 3 slices of bread. 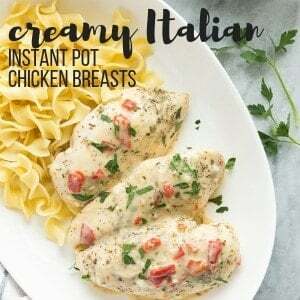 Top each with 2-3 tbsp additional meat or pasta sauce. Top with about ½-1 cup spaghetti and meat sauce mixture and remaining cheese. Top with second piece of bread, making sure to put the already toasted side down. Flip sandwiches so that both sides get toasted. Cook 4-5 minutes until bread is toasted and cheese is melted, covering sandwiches with tin foil or griddle cover if necessary to melt the cheese. Prep and cook times are for sandwiches only, as the spaghetti is usually made a few days in advance. Two meals in one! Make your spgahetti earlier in the week and enjoy these sandwiches as a quick dinner later on. 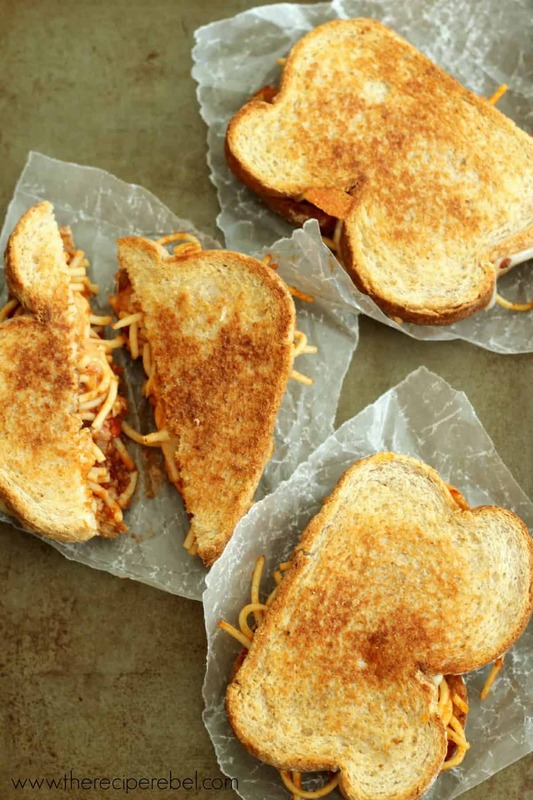 3 favourites come together in this sandwich: garlic toast, spaghetti, and grilled cheese. It’s an unforgettable combination! In a large pan, cook beef, onion, salt, pepper flakes, and basil until meat is browned. Add in pasta sauce and tomatoes. Cook spaghetti according to package directions. Stir and serve together. *Reserve about 1 cup spaghetti and meat sauce mixture for each grilled cheese you wish to make later in the week. Don’t worry — there’s lots! Combine butter and garlic powder. Butter both sides of all 6 slices of bread (I did the second side while they were on the griddle, but it’s up to you what you think is easiest). Place bread on a large flat griddle preheated to about 300 degrees F (A large frying pan works, too, it’s just not as easy to maneuver your sandwiches and won’t hold as much). Divide half of the cheese between 3 slices of bread. 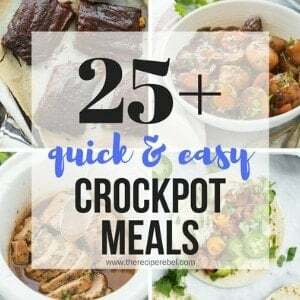 Top each with 2-3 tbsp additional meat or pasta sauce. Top with about 1/2-1 cup spaghetti and meat sauce mixture and remaining cheese. Top with second piece of bread, making sure to put the already toasted side down. I have been doing this since I was a kid, it is the best. I have actually been making these for about 30 years. I love being axle to come up with different versions of bread and cheese. Too funny, Karen! Yes, I definitely toasted my bread on the inside before adding cheese and spaghetti! Consequently tasty! That appears impressive! It sounds so delicious. I can’t wait to make it. I was wondering what kind of cheese you used? I’m not a big cheese connoisseur, so I used regular mozzarella — but you could use whatever suits your fancy! *faint* *heading to grocery store now for s’ghetti makin’s! Thank you!! Absolutely brilliant! Why have I never thought of this?? This is something the boys and I would love!